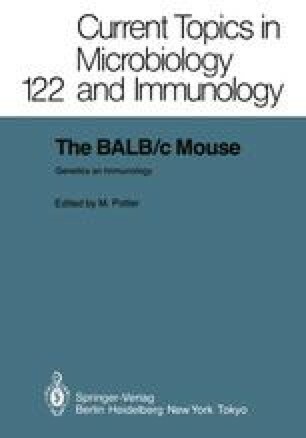 The BALB/c sublines discussed in this book all originated from a stock of albino mice maintained by Halsey Bagg at Memorial Hospital in New York City. The origin of this stock is obscure. Bagg first acquired these mice from an Ohio dealer around 1913 (Strong 1936) and used them first in his master’s thesis project at Columbia University carried out under the direction of Dr. J. McKeen Cattell. Halsey Bagg studied the abilities of mice and rats to learn a rather simple maze problem, he concluded that mice were much more active than rats and very suitable for behavioral studies. He used two stocks of mice, a yellow strain and the white strain — the latter were destined to be known as Bagg Albinos. Bagg found marked differences in the learning ability of the two kinds of mice to solve the maze problem. By 1916 Halsey Bagg had made filial matings of the albinos for 7 generations. He continued the work at New York University and maintained the albino mouse colony. Halsey Bagg must also have claimed that they were inbred, but after acquiring these mice in 1920 Leonell Strong found some kind of evidence to the contrary (Strong 1978). About this time many of the mouse geneticists in the U.S. were intent upon inbreeding mice. Mice were rapidly emerging as the premier species in experimental cancer research.